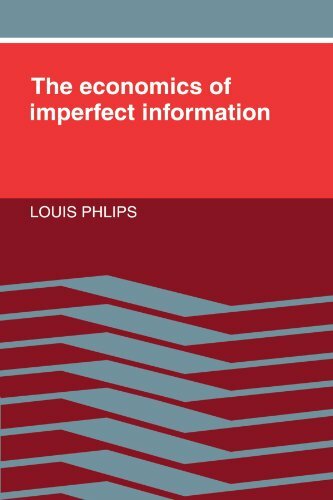 Amazon.com description: Product Description: This is the first systematic textbook presentation of the new microeconomic theories based on imperfect information. Each chapter explores a particular type of informational asymmetry and reviews the main contributions, from the seminal papers of the late 1960s through the most recent developments. Wherever possible the theories covered are confronted with the available experimental evidence.